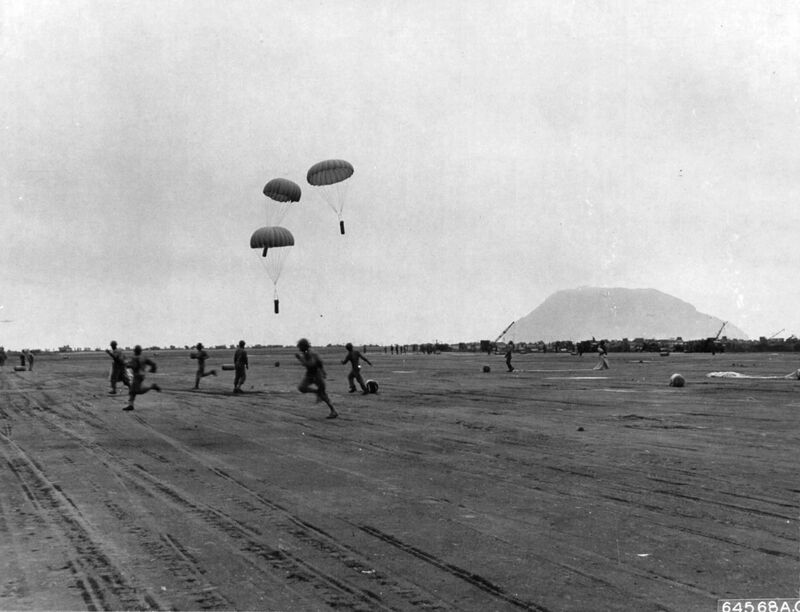 » Marines recovering parachute packs with mail and mortar shells, Iwo Jima, Mar 1945. Note Mt Suribachi. This photograph has been scaled down; full resolution photograph is available here (1,200 by 918 pixels).